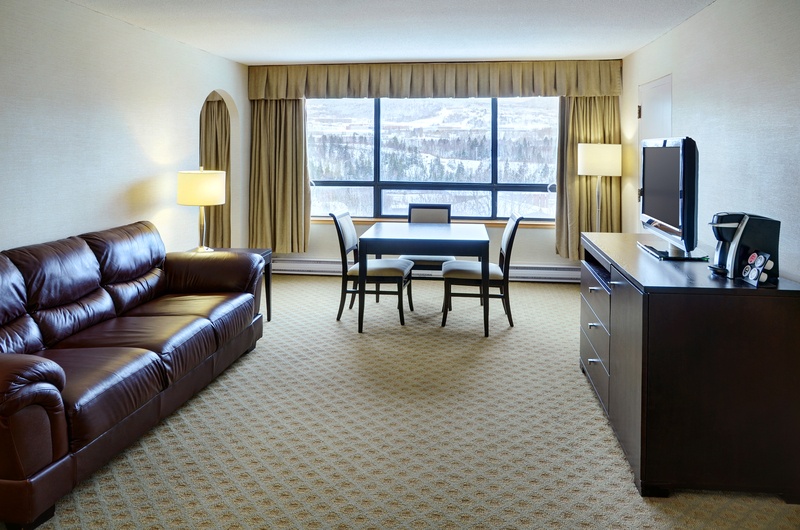 Enjoy the complete guest experience at our full-service hotel, Greenwood Inn & Suites Corner Brook! 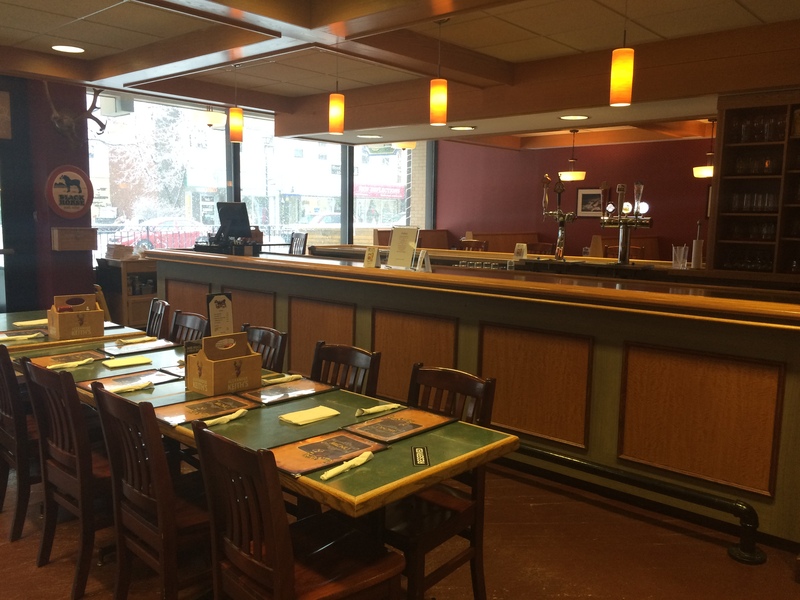 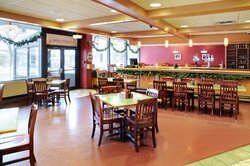 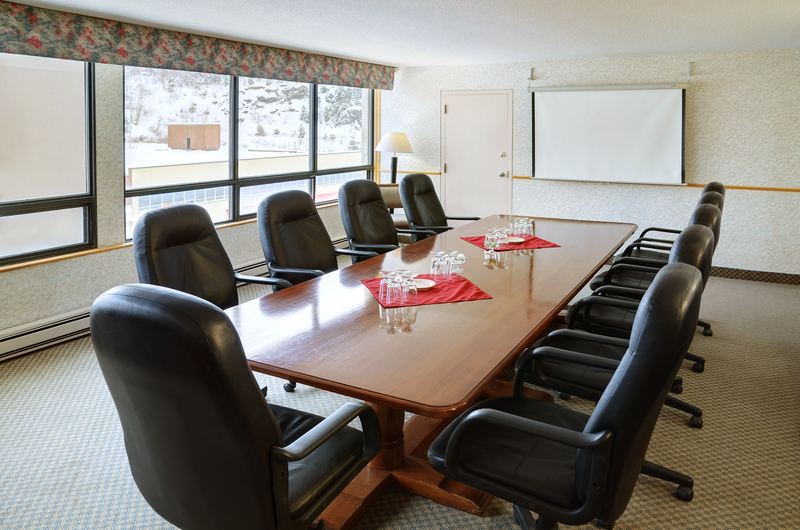 Featuring our on-site restaurant and pub, Crown & Moose, an indoor swimming pool, and private meeting rooms, our comfortable hotel offers everything our guests require. Our spacious guest rooms are perfect for large groups and sports teams, with special rates available for government travelers and group blocks of 15+ rooms. 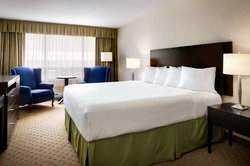 Add on one of our special deals to receive even more value for your stay at our affordable hotel. 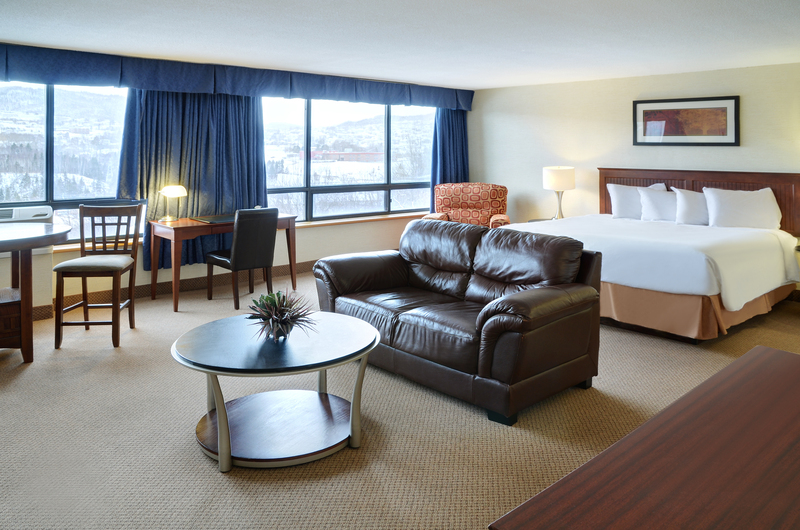 Discover all the best parts of Corner Brook during your stay at our downtown hotel. 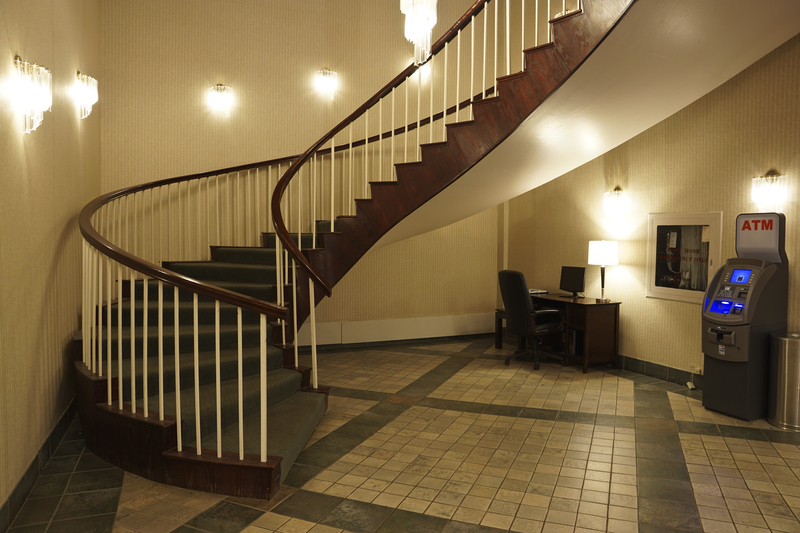 We put you in the best location near local businesses, such as Western Memorial Regional Hospital, Corner Brook Civic Centre, and several pulp and paper mills. Greenwood Inn & Suites is nestled amongst a variety of trails that are a part of the Corner Brook Stream Trail network, perfect for hiking and biking. 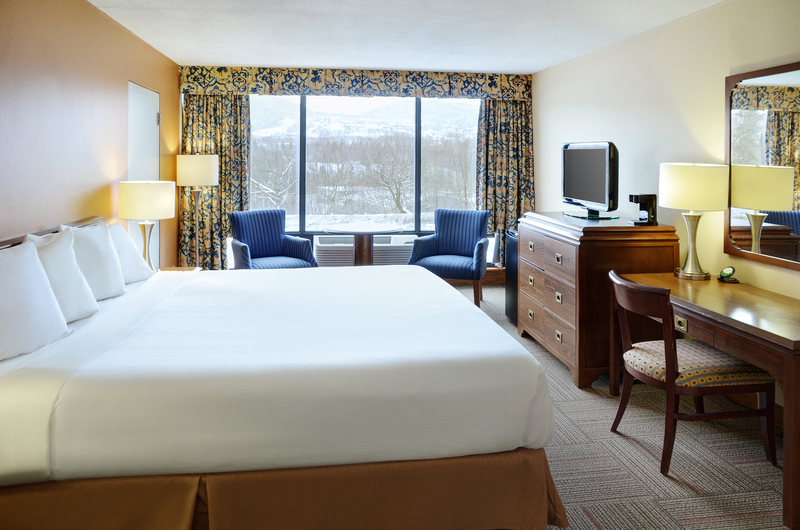 Explore Gros Morne National Park, Marble Mountain Resort, and award-winning golf courses during your stay in Corner Brook! 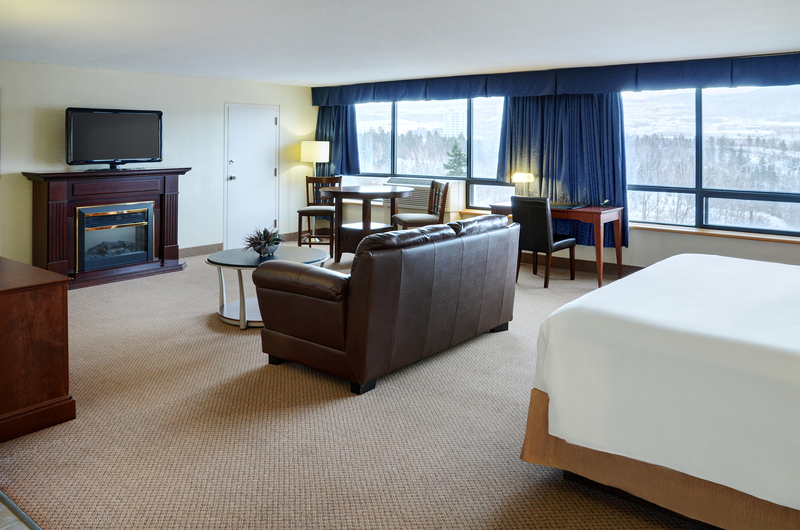 It’s easy to feel at home during your stay in the Junior Suite, featuring a separate living room and sleeping area for a good night’s rest. 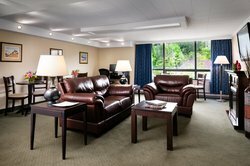 Host guests with ease in the spacious living space with a dining table with four chairs, comfortable couch, complimentary WiFi, and mini-fridge for cold drinks. Greenwood Inn & Suites has long been a fixture of the local sporting community and is happy to host teams during minor hockey and baseball tournaments. 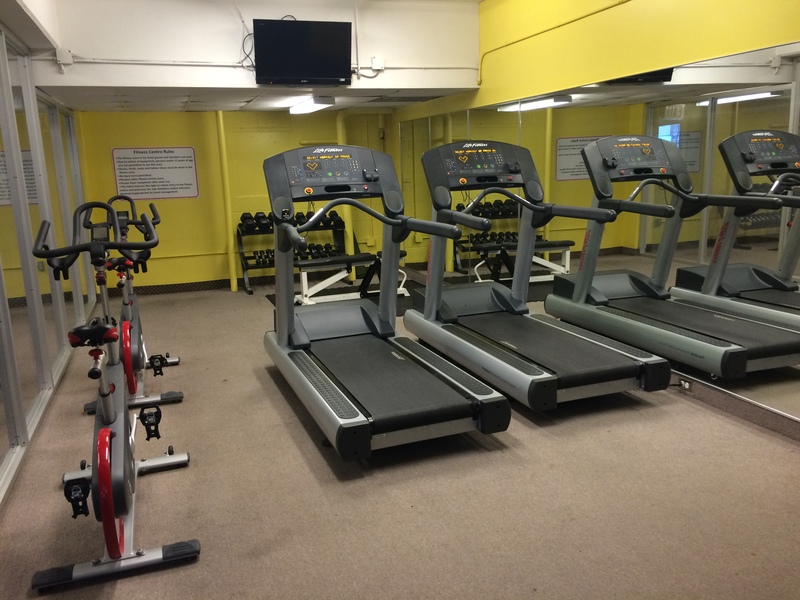 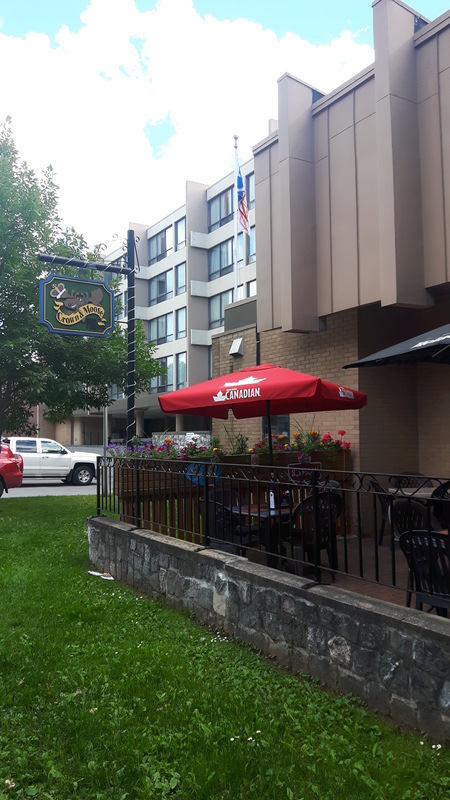 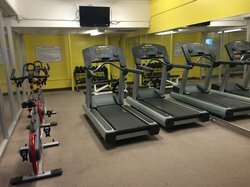 In recent years, Greenwood has served as the host hotel for the Corner Brook ITU Triathlon World Cup, World Duathlon Championships and East Coast Music Awards. 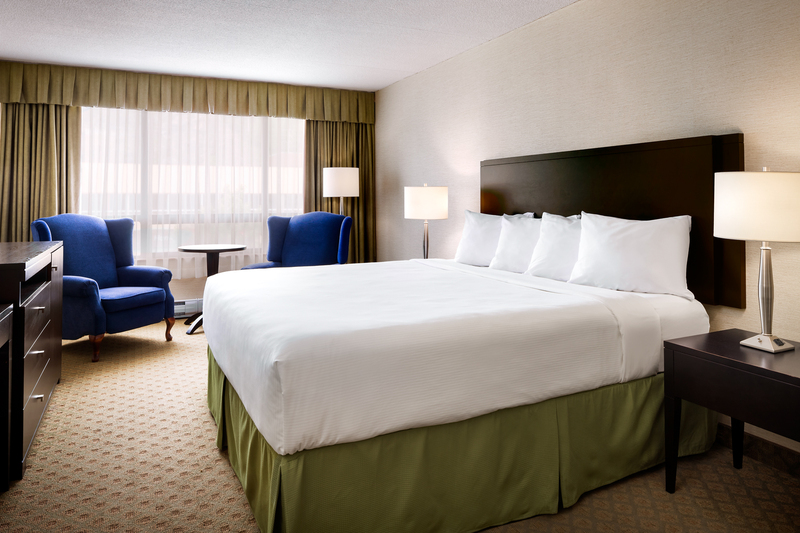 After a successful event or tournament, sleep soundly in our spacious rooms and suites, complete with all the convenient amenities guests want. It’s easy to relax and unwind in hotel rooms that feel like home. 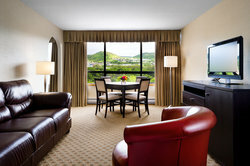 See our rooms and suites. 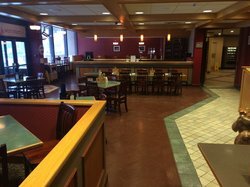 Discover a taste of Newfoundland through food, with local staples such as Grilled Pork Chops, Fish & Chips, and Poutine. 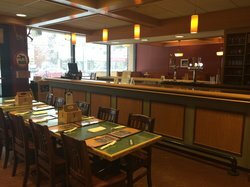 Some Pub Grub staples include homemade thinly sliced Crown Chips, tossed wings, and a selection of Nachos. 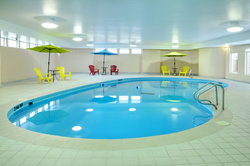 Swim in the indoor swimming pool with friends and family. Open from 6 AM – 10 PM daily. 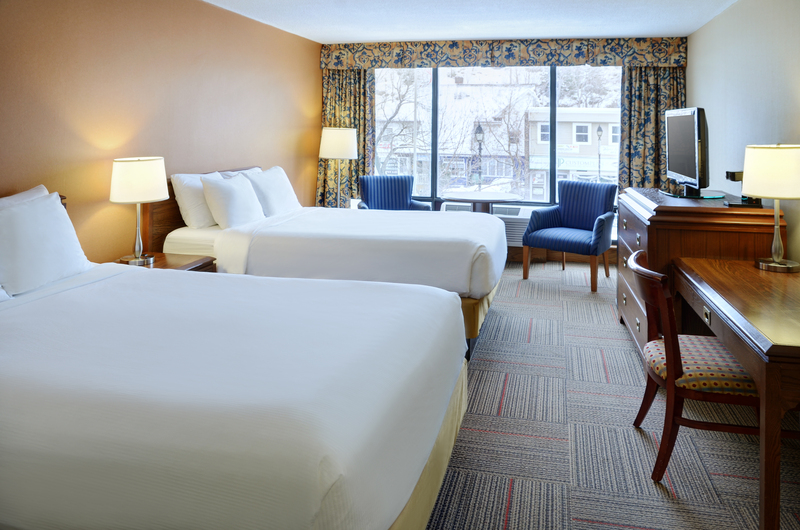 Stretch out and sleep soundly in our guest room with 2 double beds. 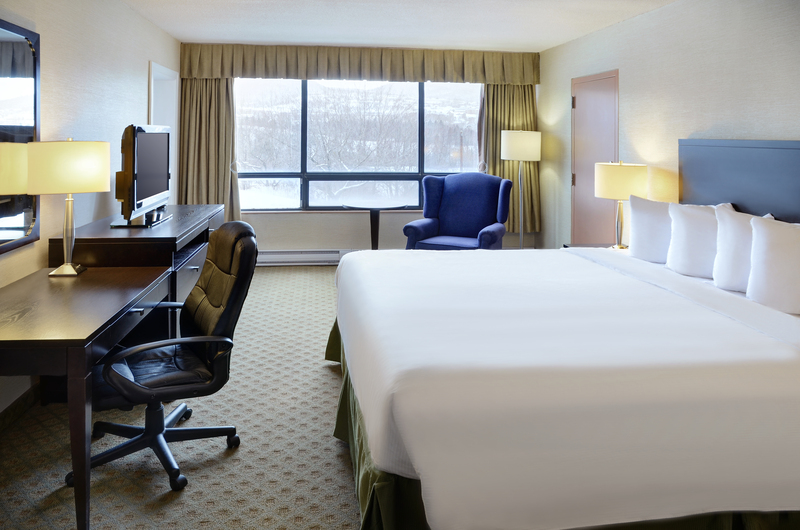 This spacious room includes all the convenient in-room amenities required for a comfortable stay, including complimentary Wi-Fi, pillow-top mattresses, and access to our full-service hotel services. 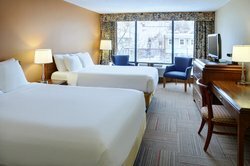 Our King guest room is ideal for guests here on business who require a quiet place to rest, space to work, and all the convenient services we offer here at our full-service hotel. 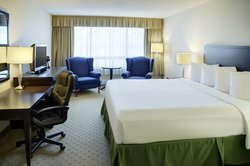 Included in your room is complimentary Wi-Fi, 32” LCD TV, and a separate table and chairs area. You’ll have access to the Private Guest Lounge and a host of convenient amenities within your room, such as complimentary Wi-Fi, work station, and a soft bed with a pillow-top mattress. No matter what your notion of comfort is we have what it takes to accommodate you at Greenwood Inn & Suites in Corner Brook, Newfoundland. All of our Deluxe King Rooms are located on the Business Floor and with then you’ll gain access to the Private Guest Lounge on that floor. 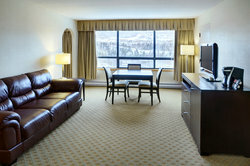 Choose comfort and excellent value when choosing your accommodations in Corner Brook, Newfoundland. 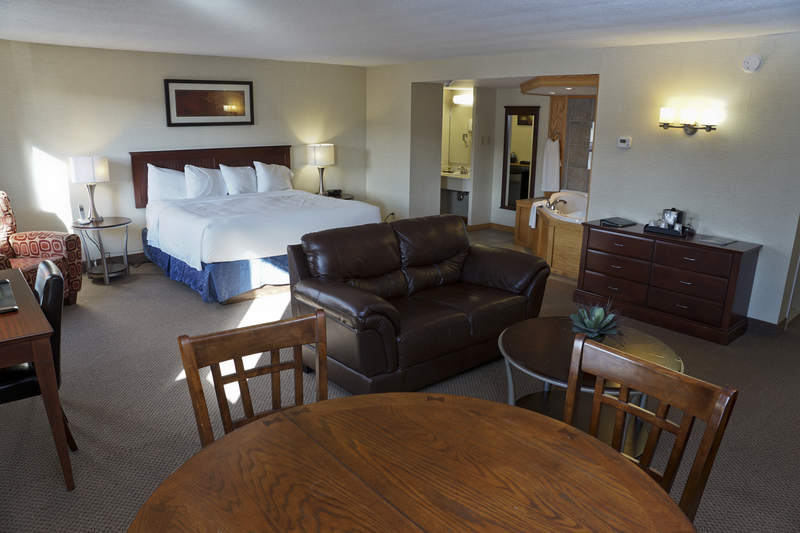 The bedroom features a king bed outfitted with a pillow-top mattress and comfortable bedding. 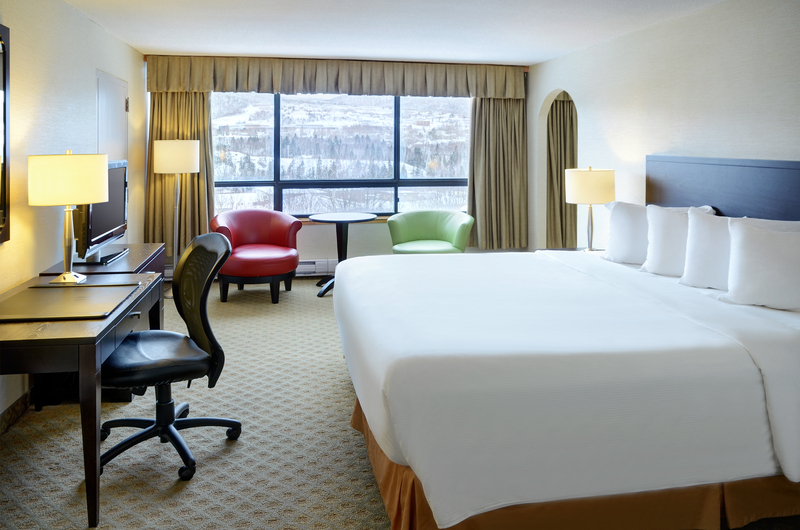 Whether you’re in town on business or a romantic getaway for two, this modern and cozy suite adds a touch of indulgence to your stay in Newfoundland. 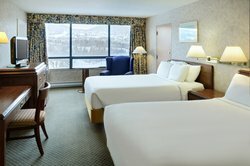 Set up a home base in your new Corner Brook accommodations complete with modern amenities and thoughtful touches for all our guests. 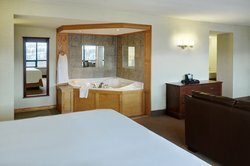 Enhance your stay in Corner Brook with our Executive Jacuzzi Suite, featuring a private Jacuzzi tub for relaxing in your room. 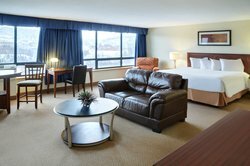 Stay downtown at our comfortable accommodations in Corner Brook, also located nearby a variety of local businesses and outdoor activities. Work Outside the Office Stop by our lobby’s business center with a desktop computer and printer. Enjoy access to our quiet guest lounge area that includes a TV, couches, fridge, and self-serve coffee. 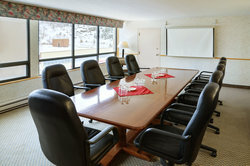 Continue the conversation outside the office in our private boardroom! 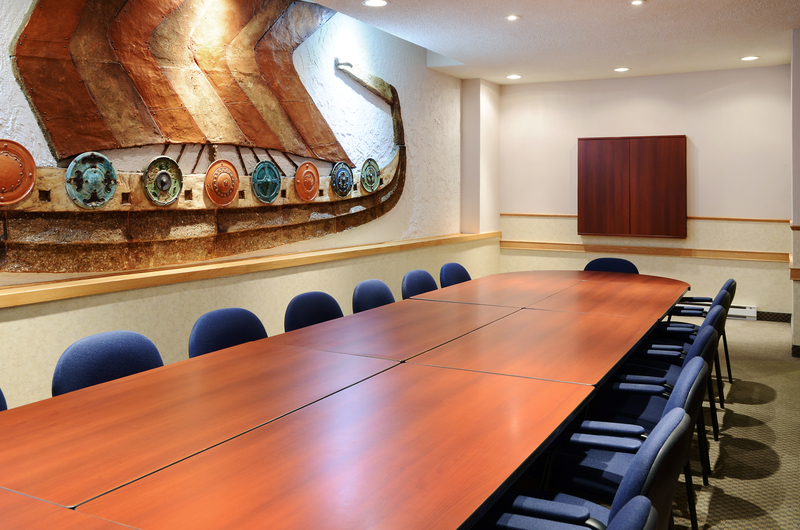 The boardroom comfortably seats ten and features natural lighting through bright windows. 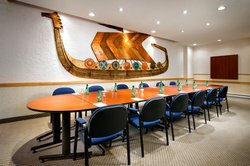 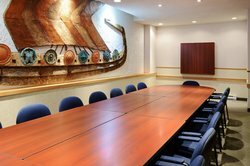 Unique as it is convenient, we also have our boardroom style Viking Room available for meetings. 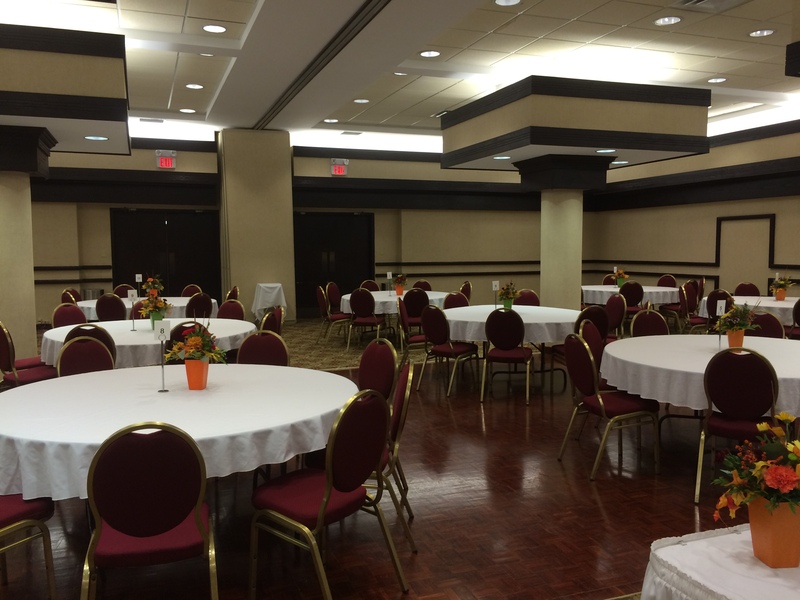 Not an experienced event planner? 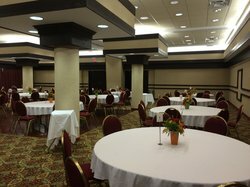 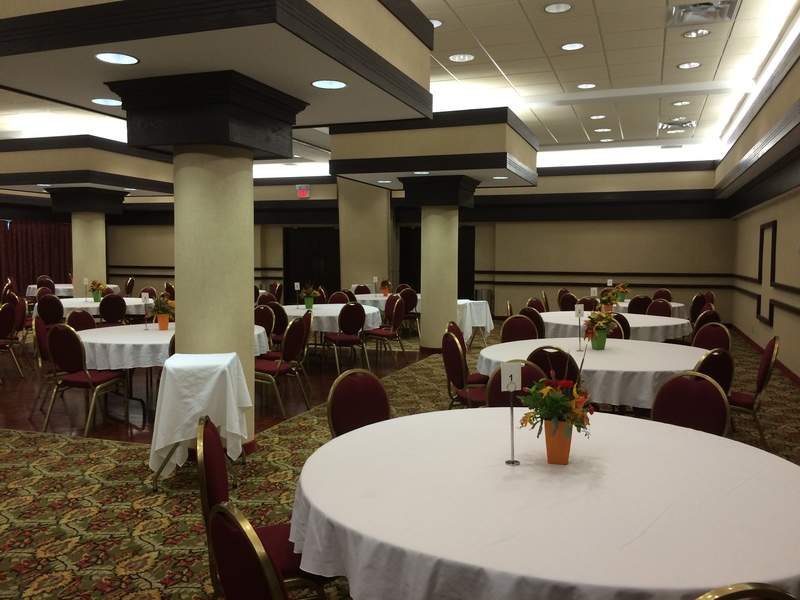 Our team is on site to help you plan, set up, and run a smooth event during your stay at our hotel. 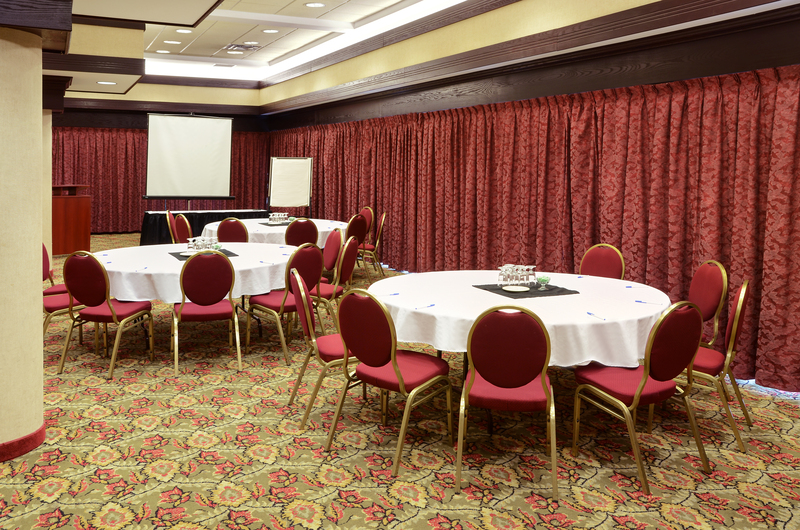 Greenwood Inn & Suites is pleased to offer fully equipped meeting rooms and event spaces for hosting your next private party. 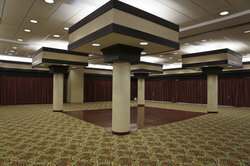 The Bay of Islands Ballroom which can seat up to 200 for a banquet-style reception. 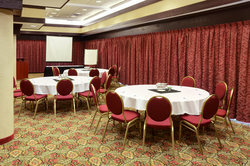 Our fully equipped meeting room makes it easy to host out-of-town events. Whether you need space for 5 guests or 200, our dynamic room has the space you need with the staff assistance you require. 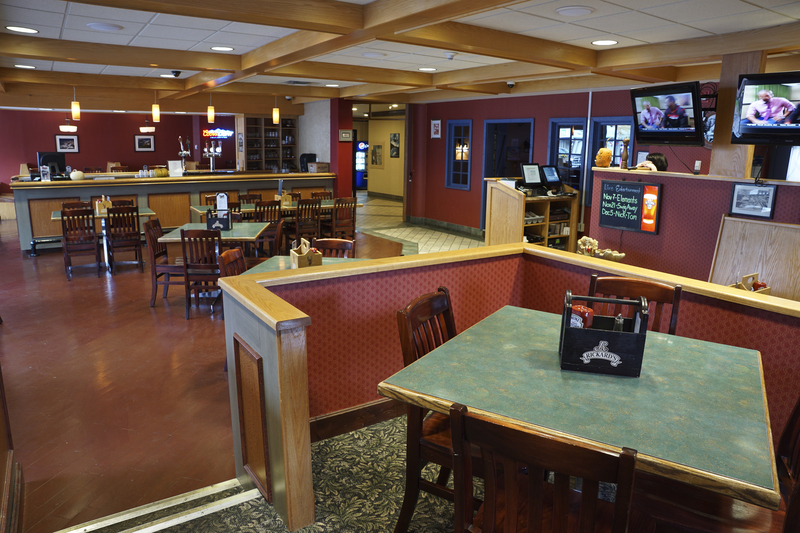 With a menu of classic Newfoundland dishes and homestyle favourites, Crown & Moose is beloved by visitors and locals alike. Open from 7 AM – 10 PM daily, with extended hours until midnight from Wednesday – Saturday. 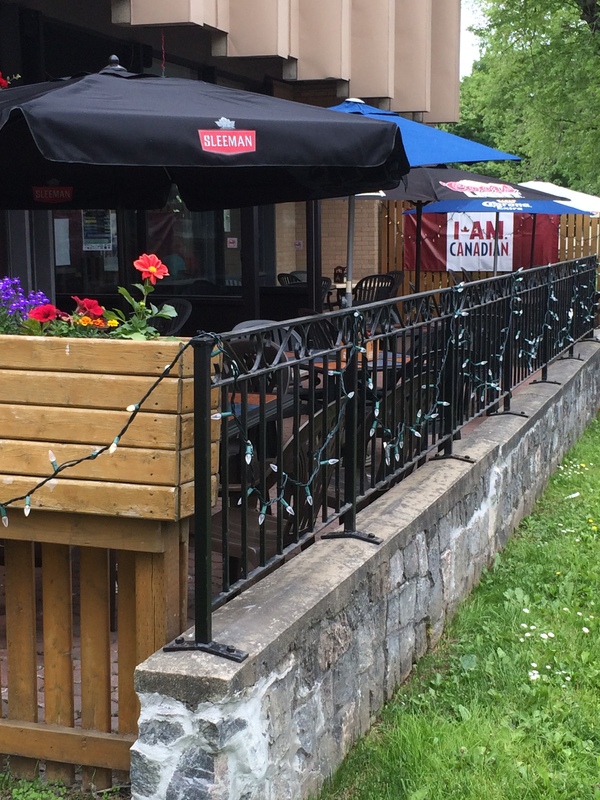 Our adjacent patio is the perfect place to kick back on a summer day. 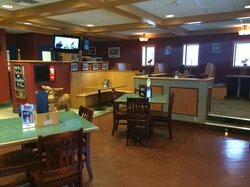 Stop by for a drink at our fully licensed bar and grill after a long day and meet with friends at the Crown & Moose here in Corner Brook. 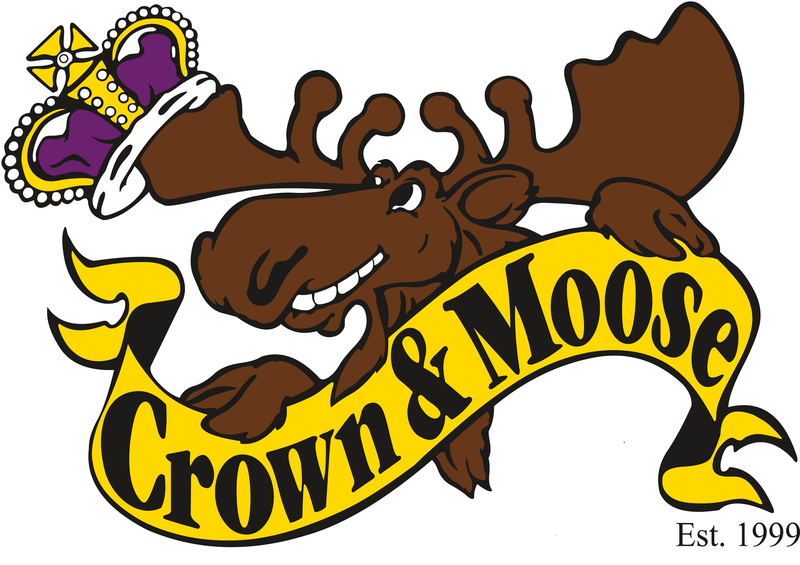 When the sun is shining and the skies are blue, the Crown and Moose Pub is the place to be. 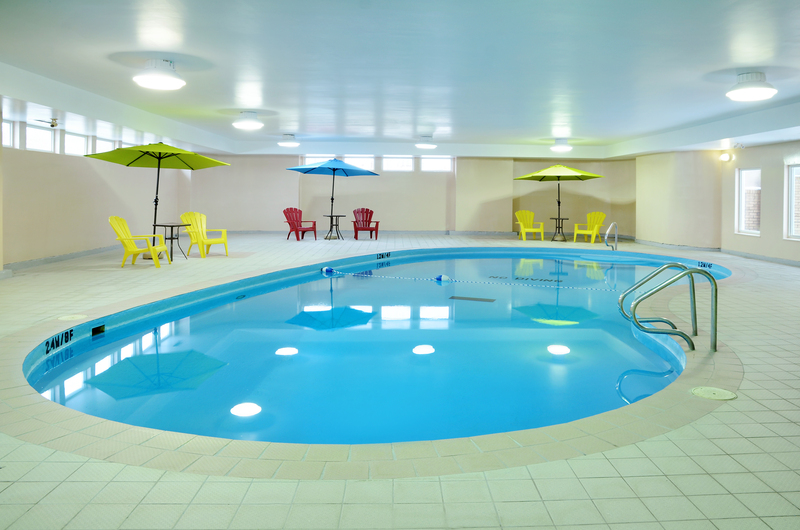 Grab a drink and hoist the umbrellas! 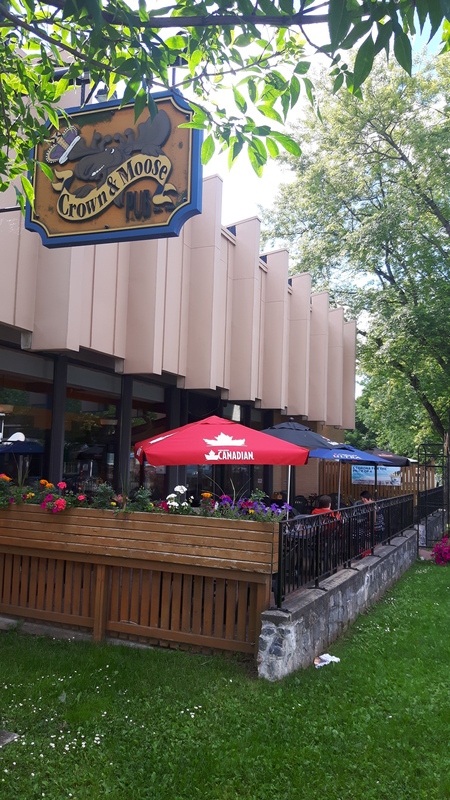 On Friday and Saturday evenings, Crown and Moose Pub also plays home to live entertainment from an array of local musical talent so swing by and grab a cold one while you make like a local! Gather with coworkers, teammates and friends, both new and old at the Crown & Moose Pub. 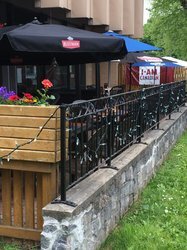 The place to be on a weekend or weeknight, Crown & Moose serves up homestyle Newfoundland dishes and pub grub all day long.